Elegant waves of metal make for a casually feminine, yet sophisticated bed frame. The Rothesay bed frame has quality wooden slats, making it well supported. 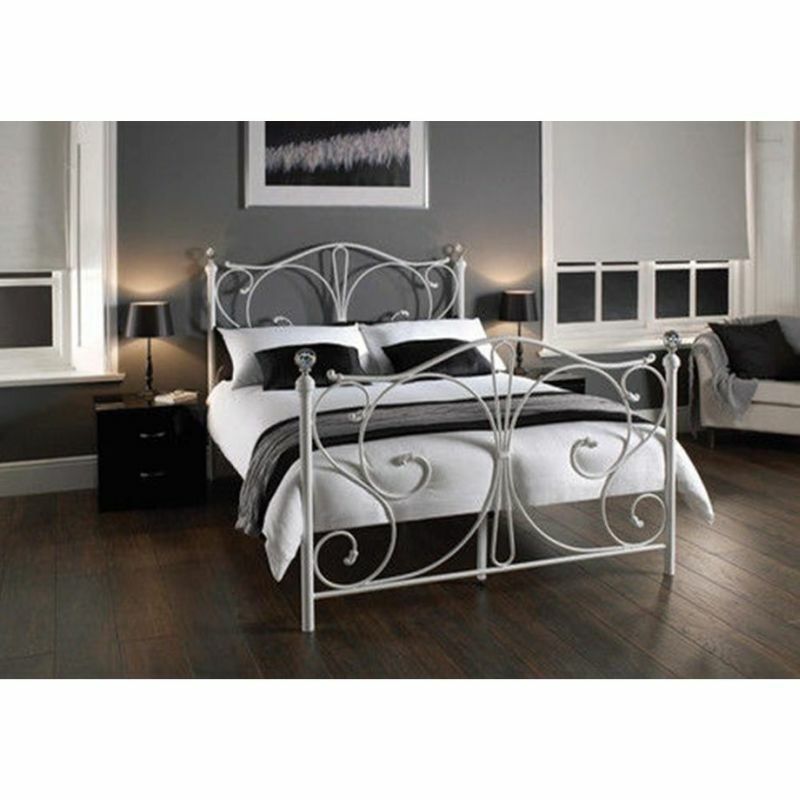 The Rothesay Bed Frame combines a classical flourish design with a high quality metal construction and finish. The refreshing classical design and curved style of our latest Bed Frame collection adds beauty and sophistication to any home. This collection gives you the comfort you have been looking for without sacrificing the sophisticated design. Complete the look of any home with the beauty and classical styling of the Rothesay bed frame. Note: Image is for style indication only. Bed frame size may differ depending on frame size ordered. Assembly instruction manual is included. Due to OH&S delivery will be to ground level only. Courier/Driver cannot assist with carrying the item up any flight of stairs; you will need to arrange people to be there if this is an issue. For delivery to the CBD: please ensure there are capable people to help with moving the product from the truck to the destination as the driver will be unable to help if it is an office building. Please also ensure that there is suitable parking near the area. If the driver’s assistance is a must additional fees may apply. Love my purchase, very happy! Great value for money. Bed is sturdy and was easy to put together. Happy with my purchase, was fairly easy to put together although there wasn't the correct amount of nuts for the bolts. Luckily I live only 5 minutes from a hardware shop so was able to race down and get some more. Was worth the money that I spent on the bed.